Down in the Southern Uplands, the border hills between Scotland and England, lies long beautiful Moffat Dale. Rising from forests and farmland to wild moorland this valley runs between steep-sided rolling grass and heather hills. To the north three deep side valleys cut into the slopes. I had previously visited two of these valleys – that of the lovely Grey Mare’s Tail Waterfall and the hanging valley of the Tail Burn and Loch Skeen and that of Carrifran, home to a new wild forest. The third valley, Black Hope, was unknown other than from glimpses from the heights above until last week when I wandered its length and spent two nights camping near its head. After the long journey down from the Cairngorms I set off up Black Hope at dusk. A brisk wind blew and the tops were covered in cloud. An old track runs up the valley; a track that is slowly fading back into the landscape, especially in its upper reaches, beyond a section washed away by a flooding burn. By the time I reached the end of the track it was dark, with the pale slash of the burn the only distinct feature. I followed a rough path a short distance then found a reasonable camp site on a shelf above the burn. Soon I was out of the wind and warm in the tent with hot soup in my mug and supper cooking on the stove. The night was warm for mid-October with a low of only 10ºC. I left the tent doors open at first but the gusty wind and then a shower of rain woke me so I zipped myself in. There were no stars or even the silhouette of the hills to watch anyway. Dawn came with a creeping greyness and a reluctant half-light. I had considered camping high on the hills but the wind and low cloud made this unattractive so I decided on a day trip to the summits and a second night in Black Hope. Leaving the tent I set off up the valley and was soon climbing up beside the stream of Cold Grain, which dropped down the hillside in a series of little falls and cascades. Before I reached the gentler slopes above I was in thick, wet mist with visibility reduced to a few yards. Once I emerged on the slopes of Hart Fell at the head of Black Hope I felt the full force of a strong wind. I followed the fence to the summit and then over Falcon Crag and Swatte Fell. Heavy rain began to fall and the ground was soft and sodden. Two figures suddenly appeared in front of me out of the cloud. Hoods up, heads down, they mumbled a greeting as they passed and then vanished in the mist. A third walker a little later was the only other person I met. Given the weather I was surprised to see anyone else at all. Tempted by the thought of hot drinks in Moffat, which was only five or six miles away, I changed my plans again and instead of descending into the Black Hope valley and back to camp I went down into Moffat Dale where my car was waiting to transport me to the luxury of a café. A few hours later back at the head of Black Hope I had to struggle back into wet waterproofs and head back up to my camp. I considered simply packing it up and heading out but decided to stay in case the weather improved. It didn’t. It worsened. The second night was one of heavy rain and a much stronger gusty wind that shook the tent and woke me several times. The dawn was again grey but the clouds had lifted above the tops and for the first time I could see the upper edge of the valley and the series of crags and stream gullies on its sides. Black Hope is a splendid valley. I’d like to see it in better conditions. The November issue of TGO, in the shops now, has a review by me of protective cases for electronic devices. Having just returned from a very wet trip, of which more in a future post, I can say that such cases are definitely useful! Also in this issue I describe the new Gore-Tex Active Shell fabric and review two of the first jackets using it, from Berghaus and Haglofs, while in the Hill Skills section I give some tips on lightening the weight of your pack. 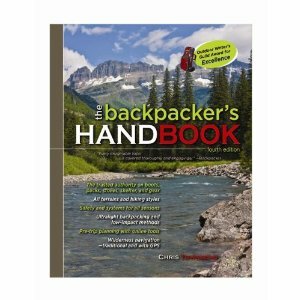 Away from gear and techniques my backpacking column is about encounters with wildlife. Elsewhere Ed Byrne tries going barefoot, something that I do every so often for short distances; Cameron McNeish looks at the wind power debate and wonders if a reduction in subsidies might make on-short wind farms unnattractive to energy companies (we can hope) and also explores Glen Feshie in the Cairngorms and its surrounding hills; Emily Rodway canoes down the River Spey then walks back along the Speyside Way; Nathan Skinner meets Gavin Pretor-Pinney to discuss cloud-spotting; Ronald Turnbull wanders round the head of Upper Eskdale in the Lake District; Jim Perrin writes about Mark Cocker's book Birders (and persuades me I must read it); Stephen Venables leads a trek along the toughest section of the Great Himalaya Trail; Andrew McCloy looks at the Walkers are Welcome initiative; Kevin Walker gives some useful advice on following compass bearings and John Manning tests some hydration packs. 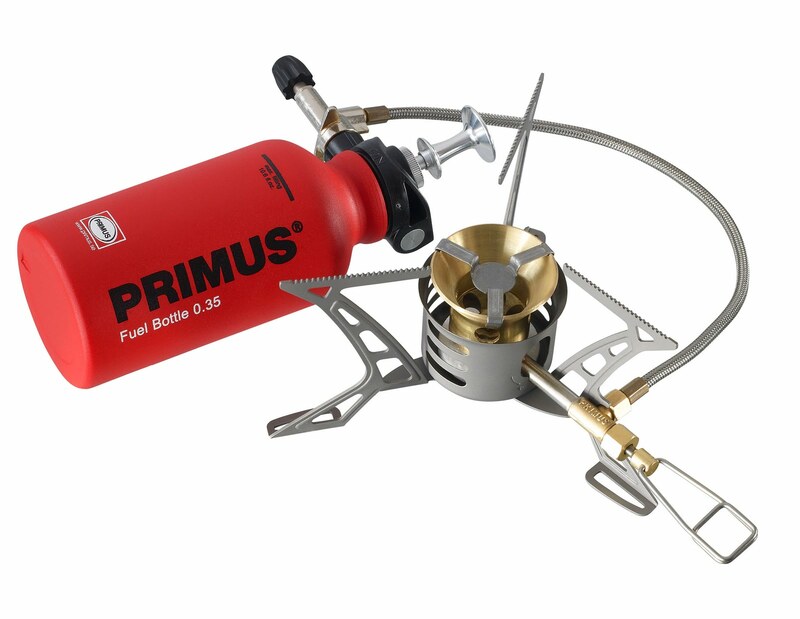 Recently I've been testing the new Primus OmniLite Ti multi-fuel stove, a lightweight version of the excellent OmniFuel. My review appears on the TGO website here. Yesterday I looked out on a grey day, with rain falling and a cold wind. The hills were hidden. Hours later I glanced out of the window to see the cloud had risen slightly and the edges of the Cairngorms could be seen, white with new snow. Grabbing a camera with telephoto lens I had time to take two quick shots through the closed window before the clouds descended again. Thinking someone might be interested I posted the above picture on Facebook. To my surprise 4o people liked it and there were 6 shares and 12 comments - which is far more than my Facebook posts usually receive. Clearly there is great interest in snow and the coming winter! 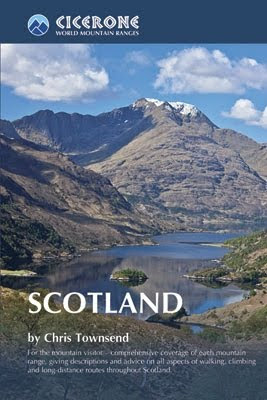 On the first anniversary of its publication World Mountain Ranges: Scotland has been chosen by MyOutdoors.co.uk, also celebrating its first anniversary, as Book of the Year. I am delighted! Sometimes trusting the weather forecast works, sometimes it doesn’t. Last night it didn’t. Eventually. A window between gales was suggested, clearing evening skies then a starry night before the next storm blew in and the winds began to rise the next day. The forecast was six or seven hours out. Most people wouldn’t have noticed. Most people would have been asleep when the weather changed. As I was. Except that I was also in a tent in the mountains at 700 metres. The trip had begun as expected. I set off up Glen Feshie in the Northern Cairngorms on a cloudy afternoon. After a short while I left the main path and cut across tussocks and heather to a great cleft in the hillside, the mouth of Coire Garbhlach, a twisting, secretive valley that cuts deep into the Moine Mhor plateau. This is a curious place for the Cairngorms where corries are usually wide open and spacious. As you follow the stream on a series of rough, faint deer tracks there is a feeling of entering another world, a narrow canyon with steep walls and shattered rock towers high on its sides, the sky just a slash of pale light far above. Soon the mouth has vanished and nowhere else seems to exist. Long and thin, the corrie keeps going, the stream crashing down in waterslides, falls and cascades. Eventually the slopes became steeper and stonier and I realised I was unlikely to find a camp site anywhere ahead. Some slightly sloping tussocks would have to do. As I pitched the tent a gentle breeze wafted up the corrie while high above blue sky appeared and sunlight lit the upper slopes. Leaving camp I clambered up loose scree and greasy vegetation to view the big final waterfall, hidden in a narrow ravine. The light was fading as I descended back to camp, finding the slippery terrain more awkward than in ascent. Stars began to appear in the darkening sky and I sat in the tent door way eating supper and staring out at the wild world. Then I fell asleep gazing out at the Plough hanging above the hillside. 1 a.m. and the world began to change. I was woken by cold air hitting my face and the tent door flapping noisily. I zipped it shut and lay back down, aware that the wind was coming down the corrie in great roaring gusts that I heard seconds before they shook the tent. I slept again though as it was 4 a.m. when I next glanced at my watch and wondered if the tent would hold. Half-waking, half-sleeping I slipped uneasily through the next two hours. Then the wind strengthened and the tent shook more, hitting me in the face. The pole was bending alarmingly. Time to pack up. Not bothering with careful packing I bundled everything into the pack inside the tent so nothing blew away then ventured outside. A rush of wind nearly took my legs from under me. I’d thought maybe a tent peg or two had pulled out but they were all firm. Instead some guylines had slackened off, allowing the fabric to flap wildly. The tent looked solid though. It was my carbon fibre trekking pole holding it up that concerned me. Soon I had the tent down and crammed into the top of the pack. All this was done by headlamp as the night was black and the sky now overcast. With the wind behind me I stumbled and lurched through the rocks and tussocks, down and out of that wild, wild place as the sky slowly lightened, with just an edge of dirty red to some clouds to show the sun was there. Down in the glen the trees were thrashing in the wind. I was back at my car less than seventeen hours after setting off. It felt longer. Soon, though, I was eating breakfast in an Aviemore café, watching the leaves blowing and rattling down the street. A gust of 75mph was recorded on Cairn Gorm, ferries were cancelled and travel disrupted. It was not a day for the hills.